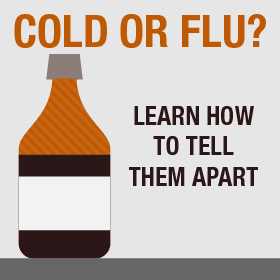 Nov. 25, 2017—Colds and the flu have a lot in common. They're both respiratory viruses. They both occur more frequently in the fall and winter. And they share many of the same symptoms. All of this can make it difficult to determine which virus might be causing your suffering. The infographic below can help.